South Africa’s oceans could provide 250 jobs for every kilometre of coastline if plans to develop the Blue Economy’s targets are achieved. This is according to Edna Molewa, South Africa’s Minister of Environmental Affairs. Speaking at a session of the World Economic Forum Africa (WEFA), held in Durban in May, Molewa stated that—if protected and properly managed—South Africa’s 4 000 kilometres of coastline could generate in the region of one million jobs by 2032. Major threats that need to be managed include over-fishing and dumping along the entire African coastline. 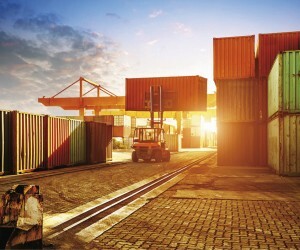 However, huge opportunities have been identified in the manufacturing and ocean transport sector. Molewa commented that “the fact that SA’s economy was not constructed with the focus on the shoreline did not stop us from identifying that shortfall. 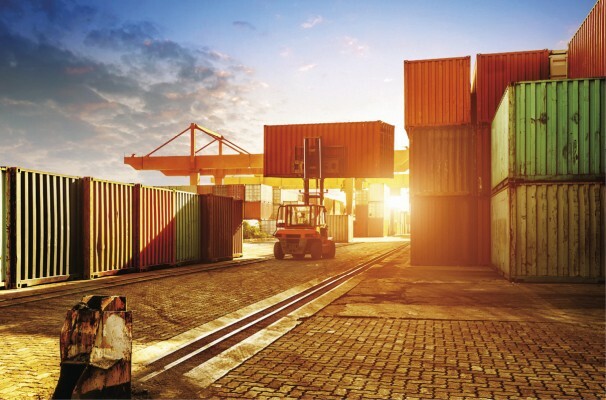 Loading raw material and receiving incoming goods are some of the opportunities that exist for our country.“The Port of Durban, Port Elizabeth and Richards Bay are developed through our industrialisation programme. We are doing fish breeding on our shorelines to ensure that we don’t run the risk of certain species becoming extinct,” added Molewa.Drones are being deployed to guard fishing activities, while fishing licences are being allocated in terms of legislation and scientific monitoring. The Blue Economy wave has reached the Eastern Cape, with the initiation of a feasibility study by the national Departments of Public Works and of Transport on the construction of a fishing harbour at Port St. Johns. According to Premier Masualle, “Transnet will commence with processes to establish a Maritime Training Centre at the EL Port in the first quarter of 2017/18. “This centre will, amongst others, cater for the artisanal maritime skills required to provide quality services to the ships that dock in our ports and to the maritime industry at large,” said Masualle.This development follows on the runaway success of the Eastern Cape’s offshore bunkering services, which were launched in Nelson Mandela Bay in May last year.“This has recorded a phenomenal growth, from serving 10 ships in May 2016 to 103 ships per month as at January 2017. This has also unleashed a lot of opportunities for local business,” added Masualle.It is the vision of the Eastern Cape province to establish Africa’s biggest bunkering service. As the Blue Economy aspect of South Africa’s Operation Phakisa continues to be rolled out, young people are encouraged to research career opportunities available in that area. Speaking on the occasion of the second South African National Youth Awards held at the Union Buildings in May, Minister in the Presidency, Jeff Radebe, explained that the potential contribution of the country’s oceans to the gross domestic product (GDP) could amount to as much R177 billion by 2033. For this to be achieved, however, Radebe stressed that the youth will need to play their part.“The success of the National Development Plan and all other government interventions is dependent on active citizenry, of which the youth is at the centre. The involvement of our people, especially young people, is of critical importance for us to succeed in our journey to prosperity,” said Minister Radebe.“We want our people to share in the inclusive growth of our economy—not just a few, but a majority of our people, especially those who were disadvantaged by the system of apartheid. Therefore, we require a developmental state that is capable of leading this charge of changing our country,” added Minister Radebe. Another motivation for South Africa to develop the Blue Economy to the benefit of its people is the risk of being left behind, should it fail to maximise its potential. Namibia, for example, has set its sights on becoming an international logistics hub—an ambition that pivots on the development of the port of Walvis Bay, and which enjoys the support of the People’s Republic of China. According to Dr Elia G. Kaiyamo, the Namibian ambassador to China, transport links between China and other African countries are highly valued. In an interview on the China Daily website, Dr Kaiyamo stated that “efforts such as the link between China and other African countries to implement the Belt and Road Initiative” have Namibia’s backing. Namibia intends to be an international logistics hub for Southern African Development Community (SADC) countries in support of closer regional integration efforts across the continent. “It is for this reason that we are currently at an advanced stage [with China’s assistance] to deepen and upgrade the port of Walvis Bay. Chinese container companies sail to our harbour and stop at the Walvis Bay container terminal with traded goods between Africa and the world,” said Dr Kaiyamo, who extolled China’s culture of hard work and pointed out that “China was one of the first countries to offer food aid to us when we experienced a three-year drought, and was the first country to offer capital when we needed it most.Construction began last year on a dual carriageway linking the Namibian capital Windhoek and the Hosea Kutako International Airport, also under construction by the China Railway Seventh Group and Onamagongwa Trading Enterprises, a Namibian company.Dr Kaiyamo upheld Namibia’s healthy democracy and socioeconomic stability as an example for other African countries to follow, commenting that “political and economic instability and regional conflicts in some African countries set obstacles for the executive actions of the Belt and Road Initiative. More innovative ways need to be developed to use the ocean’s sustainably for food, transport, trade and other activities. He addressed the Indian Ocean Rim Association (IORA) Business Summit in Jakarta, in Indonesia, on Monday. “As business leaders explore various opportunities, fundamentally, we must ensure profitable use of what binds us together as members of the IORA, the Indian Ocean. “The ocean is a valuable resource and holds great potential to become the key driver of the Indian Ocean Rim economies. The ocean has historically been a powerful vehicle for global trade and commerce. It has also always been a significant source of food and energy,” said the President.The leaders of the IORA have adopted the Blue or Ocean Economy as a top priority for generating employment and ensuring sustainability in business and economic models.South Africa has also decided to actively promote economic development from the oceans since 2014.It is estimated that the Blue Economy in South Africa could contribute around $13 billion to the country’s Gross Domestic Product (GDP) and create a million jobs by 2033.The priority sectors identified within this programme are marine manufacturing and marine transport, aquaculture, oil and gas exploration, marine protection and governance.To date, the President said the overall progress of South Africa’s Ocean Economy drive includes unlocking investments amounting to more than R7 billion in the ocean economy. “This has created close to seven thousand jobs in various sectors,” he said, adding that the Operation Phakisa Ocean Economy strategy is well aligned to the priorities of the Indian Ocean Rim Association. “We look forward to exploring further and deeper cooperation in these areas. There is a need for us to not only optimise and develop country ocean economy strategies. We must also appreciate the need for regional initiatives within our sub-regions of the Indian Ocean Rim Association,” he added. The African Union has declared 2015 to 2025 as the Decade of the African Seas and Oceans. The strategic context of this initiative is the 2050 Africa Integrated Maritime Strategy, aimed at improving maritime conditions and benefits for the respective countries.